Follow the button below to open the event photo gallery. You will need to have your password that was handed out to you during check-in. 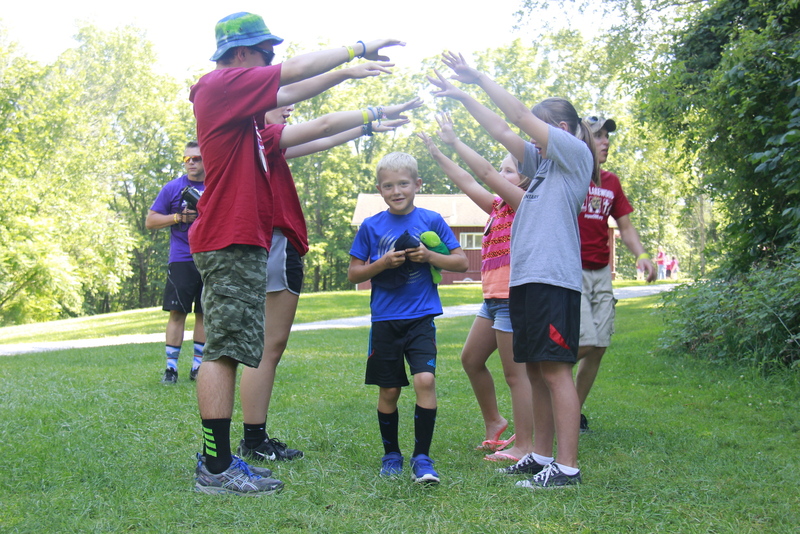 If you have lost your password, please contact the camp office at (260) 351.2331; you will need to verify your identity and connection to a camper in order to retrieve the password. Lunch this afternoon was special. They had a cookout at the beach! They enjoyed hotdogs, baked beans, carrots, and chips. 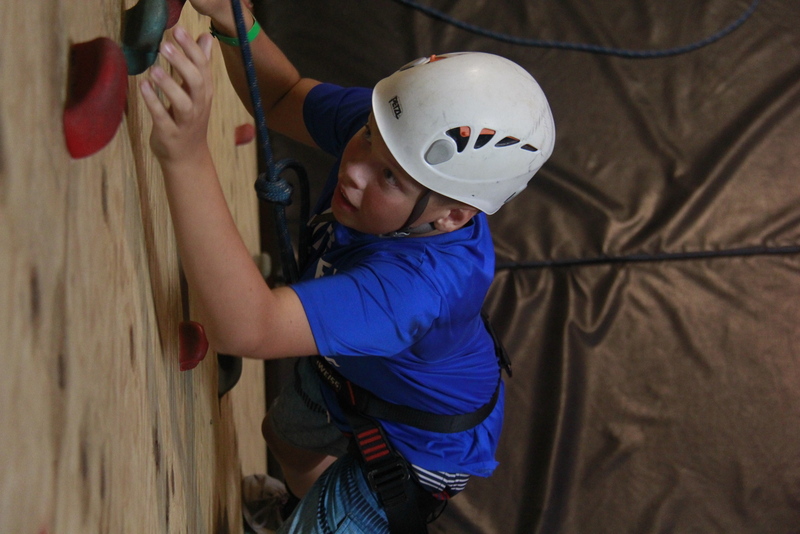 This morning campers enjoyed some time at things like the AquaGlide, the zip line, and the climbing wall. The campers are really enjoying this short week at camp. 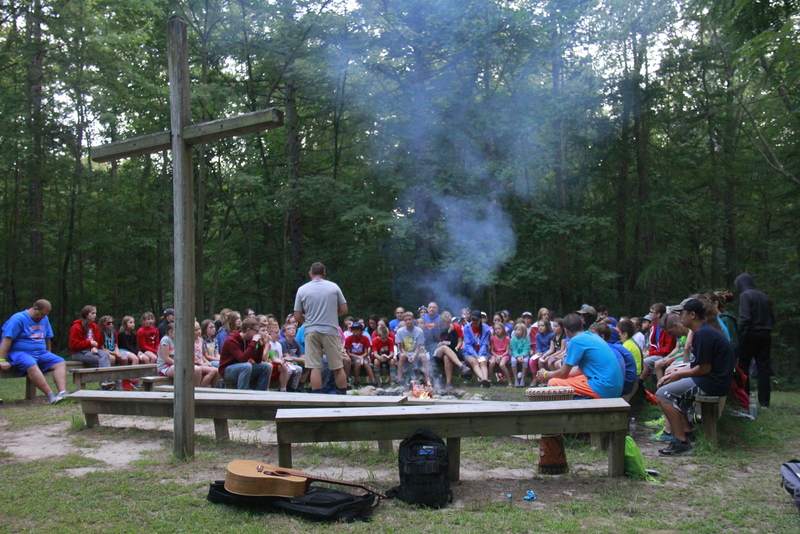 This morning campers learned about working with God and how Jesus fed 5,000 people. They learned how Jesus took a little boy's lunch of 5 loaves of barley bread and 2 small fish and multiplied it to fully feed all of the people plus have 12 baskets full of food leftover. They had a demonstration with a popcorn seed. We are like the popcorn seed, at first you can't eat the seed but when you add the air (Holy Spirit) to move it around and the heat (trials in life) the popcorn pops open and it it good. The popcorn seed is also like our faith, the bunch of unpopped popcorn is small, but once it pops open, there is a lot of it. This morning campers enjoyed waffle sticks, sausage, cheesy hash browns, and cereal for breakfast. Tonight was a special night at Vespers. Commitment night. 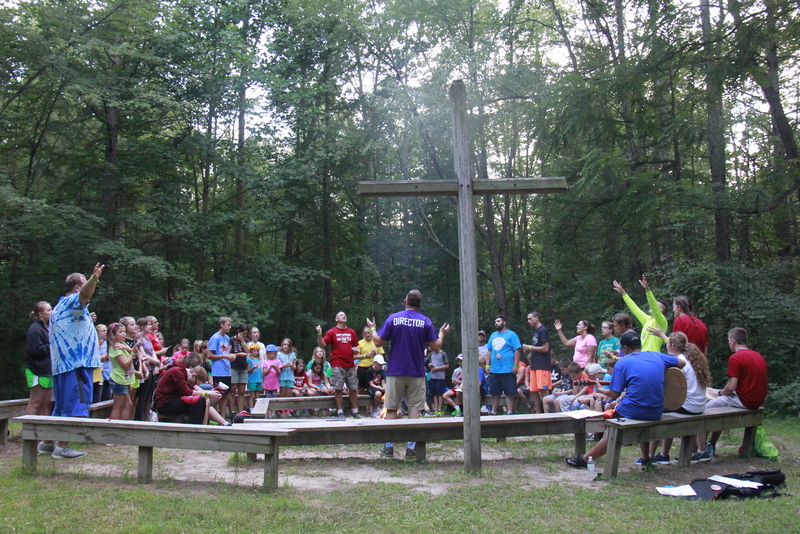 Tonight the campers had the opportunity to ask Jesus to be a part of their life and ask for forgiveness. As they came up the hill to Vespers, they were all given a sticky label to put on their shirts that said SINNER and they talked about how they live in a world where people are constantly given labels and how we even label ourselves as things like athlete, nerd, gamer, popular, smart, trouble maker, teachers pet, quiet, not cool. We hear so many labels that eventually we start to live like what our label says, but God has something completely different in mind for us. We are so important to God. They talked about how they should always have childlike faith and they should always believe like a child even when they are older. The only labels that matter is whether you are a sinner or a sinner that has been forgiven. After they sang Redeemed again, they took their SINNER stickers and stuck them to the cross. They were then given a sticker label that said FORGIVEN. They sang "Redeemed" again, but this time they sang like a family. They gathered in a giant circle around Vespers and sang their hearts out. Tonight's evening extravaganza was a treasure hunt! Plastic eggs were scattered all over frontier land and the dreaded pirates had water guns to protect their eggs while the sneaky campers tried to collect as many as they could. If they got shot by the water they either had to drop the eggs they collected or ask for mercy and sing a silly song or dance for the pirates! 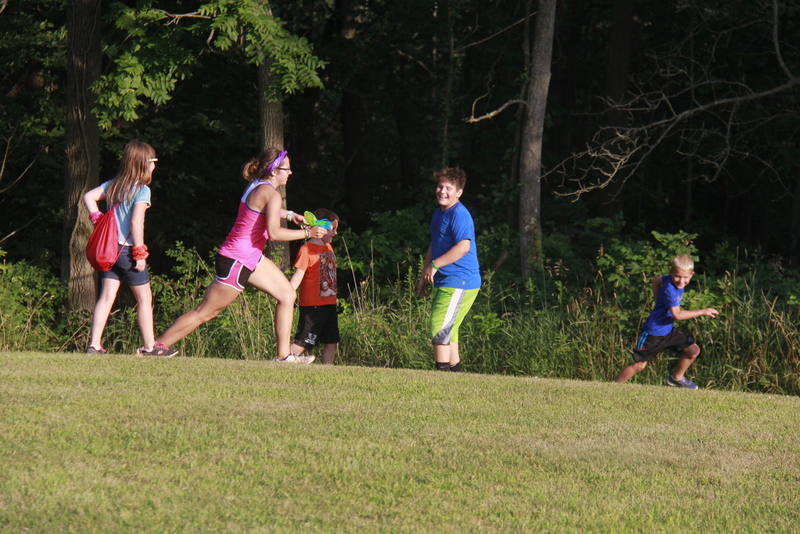 The campers had tons of fun running around collecting eggs. Dinner tonight was pizza, green beans, breadsticks, salad, and ice cream cups. This afternoon campers had the opportunity to have fun on the swing, the climbing wall, the zip line, swimming, and many other activities. At the zip line this afternoon some campers conquered their fears. Lunch this afternoon was tacos, nachos, churros, and salad. 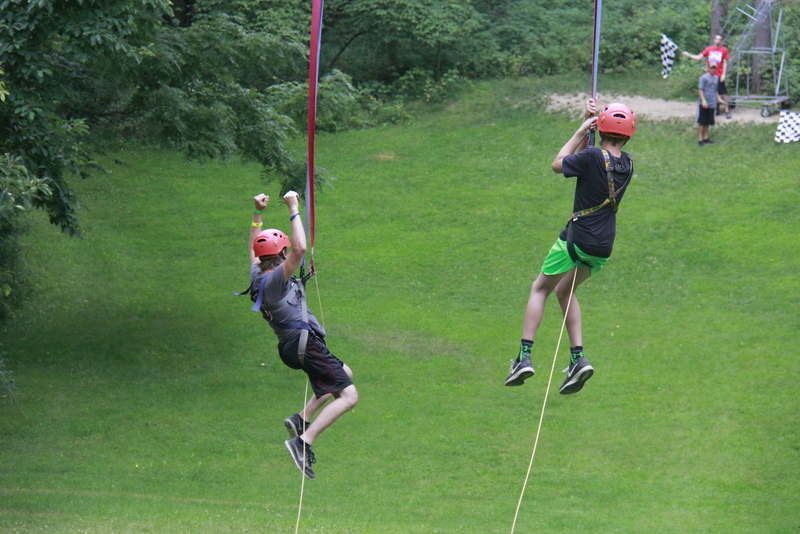 This morning campers went to activities such as the zip line, the swing, and the AquaGlide. At the zip line they all encouraged each other to be brave. This morning the campers learned about walking with God. They heard the story about the walk to Emmaus. In the story there are two men walking from Jerusalem back to Emmaus after Jesus died on the cross and they were talking about Jesus. Jesus then appears and asks them what they were talking about. They tell Jesus what they were talking about and Jesus starts to talk to them more and more. When they get to Emmaus, they invite Jesus to eat with them and when Jesus broke the bread, the men realized that the man that was walking with them was Jesus. In this verse it isn't actually talking about the feet being beautiful, but the beautiful things that the feet are doing. This morning for breakfast the campers enjoyed breakfast pizza, grapes, crispy potato cubes, and cereal. To start out their time at Vespers they sang their song for the week Redeemed with their hands raised high and singing to God for everything He has done for them. Tonight they heard two bible stories. David and Goliath from 1 Samuel: 17 and the Parable of the bags of gold from Matthew: 25. They learned that God can do big things with even the smallest things. While hearing the story about David and Goliath they learned that it's not good to jump to conclusions because everyone thought that Goliath was going to beat David, but all it took was a small rock to defeat Goliath. With the parable of the bags of gold they learned that if they will be faithful to God with the small things like feeding their pets or cleaning up the dinner table, that over time God will give them big things to be in charge of! 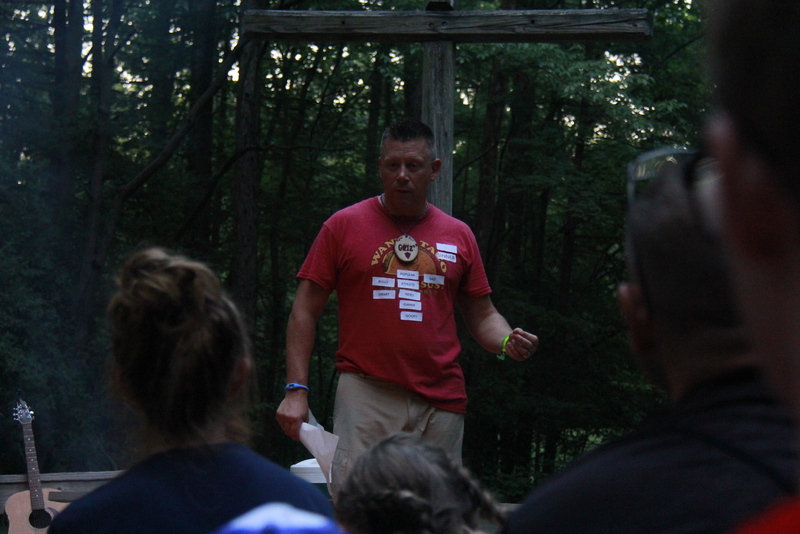 The campers were asked to think about what God wants them to do right now and to find a way to serve God better. Tonight the campers had some fun playing messy games. 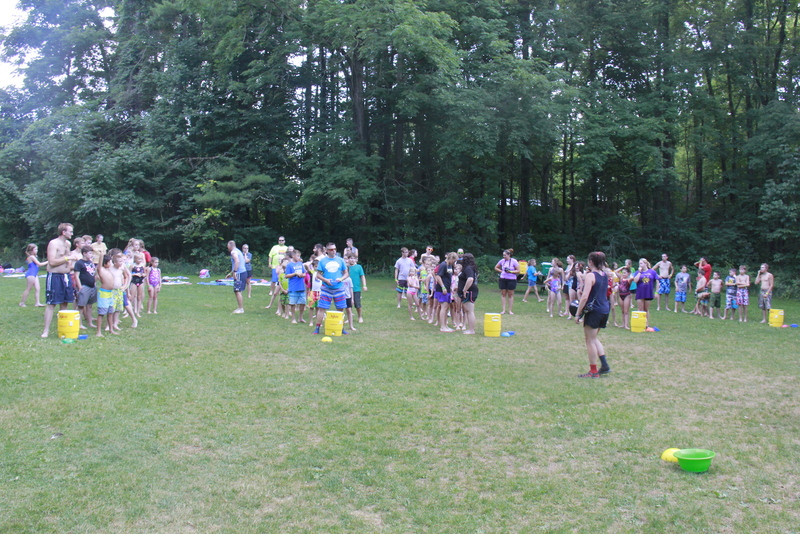 They played a game called spill the bucket where they put a bowl full of water on their heads, but the bowl had holes in the bottom of it, they had a wacky hair contest with shaving cream, they played drip, drip, drench with pitchers full of water, and then they had a slip n slide! Dinner tonight was breaded chicken sandwiches, potato wedges, cooked carrots, salad, and dirt pudding. This afternoon campers had the opportunity to have fun on the zip line, the AquaGlide, the climbing wall, and many other activities. At the climbing wall they worked on their teamwork skills as their counselors went up the rock wall blindfolded and the campers helped their counselors find the next rock to grab onto. Lunch this afternoon was corndogs, Mac n cheese, and chocolate chip cookies. This morning campers had the opportunity to have some fun this morning at the AquaGlide, the swing, and many other things. At the swing they used teamwork and overcame fears. 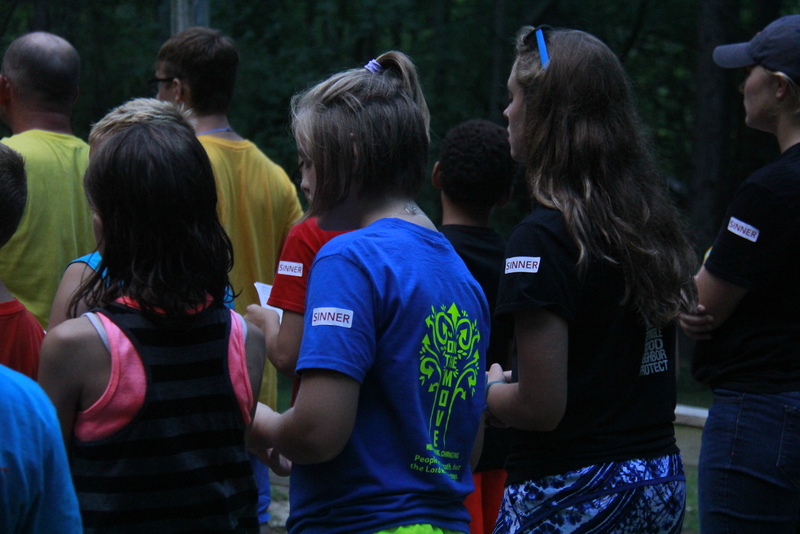 This morning the campers learned about Growing with God and they heard the Parable of the mustard seed. They learned that even though the seed is really tiny, that it has everything that it needs to grow up big and strong and it knows what type of tree it will be. The seed represents our faith and love in God. It starts out small, but after time of growing with God and learning more about Him, it will grow really big. Breakfast this morning was French toast sticks, tater tots, and cereal. 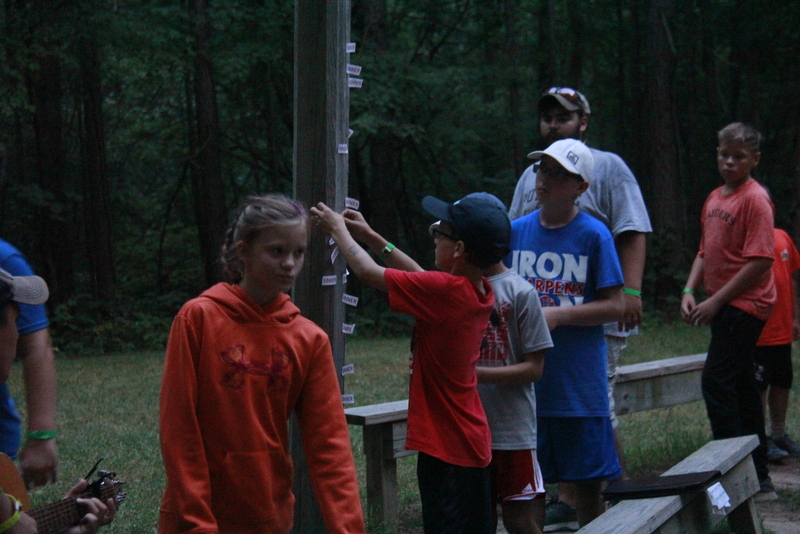 Tonight some campers experienced Vesper Hill for the first time while others their second or third time. Vesper Hill is a place where everyone gathers at the end of the day to worship together and learn more about God. Tonight the campers sang Redeemed and talked about what the song meant. The song is about a person struggling with things and not being with God, but they looked to God for help and they were redeemed. They learned about Nehemiah tonight and how God helped him. Nehemiah knew to pray to God whenever he was going through something rough and didn't know what to do. It reminds us that we should always go to God first for everything. This evening campers had a swim test to see if they could swim in the deep end and played some fun games. Dinner this evening was hamburgers, French fries, peaches, salad, and snickerdoodle cookies. 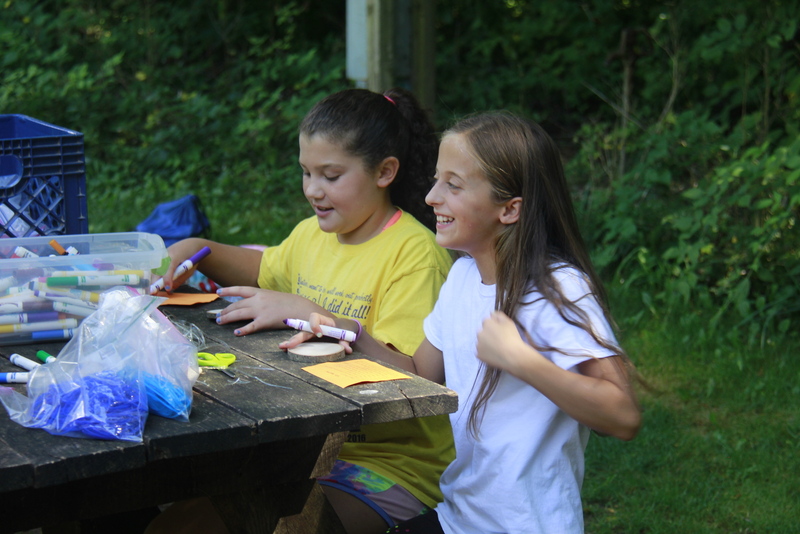 Check-in went great and the campers are already having tons of fun!